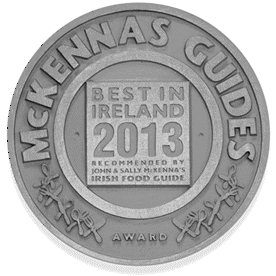 Since opening in 2000 our aim is to bring the pleasure of good food to Camden Street and deliver honest healthy food. Listons is an essential foodie pitstop for locals and office workers in the Portobello area. All our foods from the kitchen to the counter are carefully sourced and painstakingly prepared. Our grocery shelves are bursting with Irish and International lines carefully chosen because we really do want you to enjoy your purchase. It's a great pleasure sourcing from local producers and specialist importers who are passionate about what they do. We have a product range of over four thousand lines with many organic products in all categories, but we are not exclusively organic because we believe you make the choice whether you want it organic or not. "At Listons it's simple - we just love good food and enjoy the banter with our customers. We're lucky to be doing something we enjoy and we hope you enjoy Listons too." Reliable, universally loved elegant Rioja. Dublin Honey Project now in stock. You can't get much more local for your honey! devastatingly delicious & addictive. Chilli, oily, peanuts & sesame seeds. Will spice up any dish. Gluten Free breads and treats now available from Goodness Grains. 25/26 Lower Camden Street Dublin 2 Ireland.